A trio of airlines announced on Monday that they will soon offer additional trans-Atlantic routes. American Airlines, Delta Air Lines and United Airlines each confirmed that they will launch new services from the United States to Europe in statements released via their official websites. While American and Delta announced very similar plans for service between Philadelphia and London, United confirmed two new routes to Dublin and Venice starting next summer. 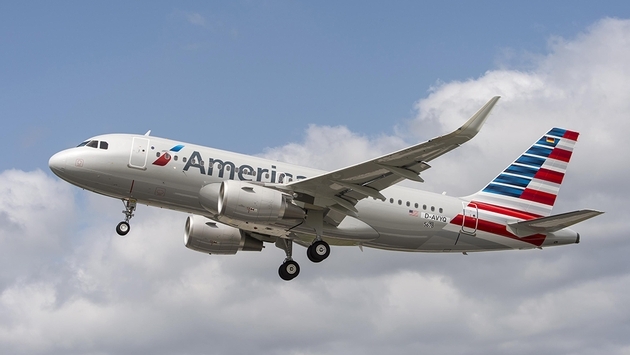 The airline will offer service between Newark Liberty and Venice, between Chicago O'Hare and Dublin and between Washington Dulles and Paris beginning on June 4. The seasonal summer service from Chicago to Dublin will run through Aug. 17 with the Newark-Venice route being offered until Sept. 23. "We're pleased to further strengthen United's trans-Atlantic route network with these new flights to three top destinations in Europe," said United's VP of network Brian Znotins. Znotins added that "the new service to Venice, Dublin and Paris complements United's existing service to Italy, Ireland and France, and offers our customers even more options and convenience for summer travel." Meanwhile, American announced that it will add a second daily round-trip flight from Philadelphia to London Heathrow beginning on March 29. Like American, rival Delta also announced nonstop service between Philadelphia and London Heathrow. Service on the 164-seat Boeing 757-200 will begin on April 8. Delta's announcement comes less than a year after the airline formed a partnership with London-based carrier Virgin Atlantic. "We are almost one year into our joint venture with Virgin Atlantic and our commitment to improving connectivity between the United Kingdom and United States remains as strong as ever," said Delta SVP for Europe, Middle East and Africa Perry Cantarutti in a statement. "By starting flights to Philadelphia, customers not only have more choice on this route, but it also offers greater access to the north eastern corner of the United States," Cantarutti added. With American and Delta announcing their new Philadelphia-London Heathrow services on the same day, there's no doubt the competition will be fierce between the two industry giants this summer. But with United also set to bolster its daily round-trip schedule for the summer season, travelers are sure to have plenty of options when booking a trip across the Atlantic.